In addition to functioning as a prominent site in many OT historical events, significant predictions were made of future importance – see Micah 5:2; Matthew 2:1-8, and the narrative of Luke 2:14-15. Stanza 2 speaks of “morning stars”, a reference found also in Job 3:9 and 38:7.
for your presence in the world . . .
for our nation . . .
for the witness of your church celebrating around the world . . .
that neither spoils nor fades. the nations of the world, especially . . .
our nation and those in authority . . .
our community and those who govern it . . .
those with particular needs on this holy day . . .
be vessels of your peace. Lewis Henry Redner (1831-1908) was born in Philadelphia, where he became a real estate agent and served on weekends as an organist and Sunday School Superintendent. He spent nineteen years at Holy Trinity church where Phillip Brooks was rector, and is credited with increasing attendance at the Sunday School from thirty-one to more than a thousand. 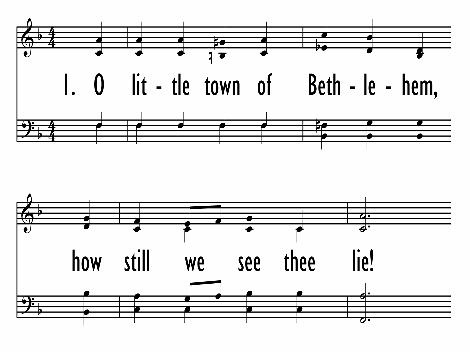 In 1868 Brooks asked him to write a tune for his new text for children inspired by his recent trip to Bethlehem. 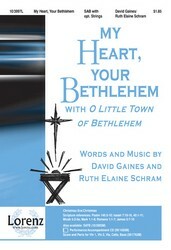 Redner composed the tune the night before it was to be sung in worship on Sunday morning. 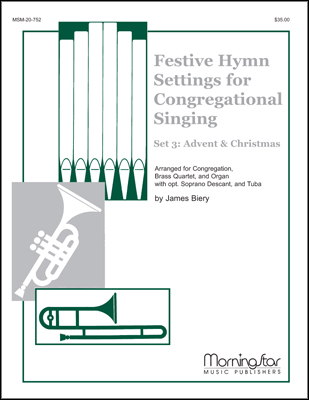 The text and tune were first published in 1894 in The Church Porch, where the tune was named ST. LOUIS, possibly after the composer’s name. Redner is remembered today because of this one tune that has remained a Christmas favorite.